CORRECTION: In a previous version of this story, Fin24 referred to Siphile Buthelezi, secretary general of PPF. Buthelezi alerted Fin24 to the fact that he has resigned from this role. Cape Town – The Progressive Professional Forum (PPF) “is not owned or funded in any way illegally, or legally or clandestinely by the Gupta family”, it said in a statement on Monday. 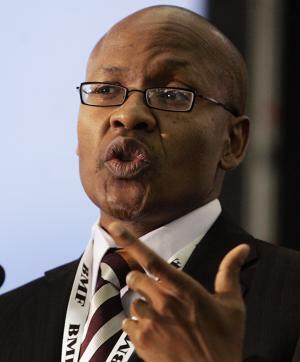 PPF president Mzwanele “Jimmy” Manyi, who is a former ANC spin doctor, is also head of policy at the Black Business Council (BBC) and leads the Decolonisation Foundation. These organisations are spearheading a drive to tackle a lack of economic transformation in South Africa and the BBC gave a presentation last week at Parliament’s hearings into the banking sector’s progress on the topic. However, the source of their funding has come under the spotlight, with Democratic Alliance MP David Maynier seeking information from state-owned entities and departments to see who is funding the organisations. So far, parliamentary responses to Maynier’s questions by Public Enterprises Minister Lynne Brown and Trade and Industry Minister Rob Davies revealed that government has been funding the PPF and BBC. Brown revealed that Eskom and Transnet sponsored the PPF with R840 000 in donations, while Davies disclosed that the Department of Trade and Industry (DTI) gave the BBC R7m over the past three years. Regarding the BBC donation, Maynier said in a statement that “it looks like the DTI is funding a dodgy Treasury opponent and Gupta proxy”. Concerning the PPF donation, Maynier said Eskom and Transnet should not support an organisation “which is deeply involved in politics and which campaigns against the Minister of Finance Pravin Gordhan and National Treasury”. The three Manyi-linked organisations - as well as former Economic Freedom Front MP Andile Mngxitama's Black First, Land First organisation - have also been accused of being proxies for the Guptas. This allegation was criticised by the PPF on Monday. “PPF is not a proxy for anyone but it is and steadfastly remains the vanguard of the interests of all South Africans, in particular the progressive professionals,” said the office of the secretary general of PPF. It was announcing the PPF’s decision to sue Daily Maverick journalist Marianne Thamm for a story on March 17 2017 entitled Tom Moyane, Zuma Kingpin, because she referred to the PPF as “Mzwanele Manyi’s Gupta-sponsored Progressive Professionals Forum”. The PPF said Thamm’s “labelling is meant to create an impression in the mind of the reader that PPF is sponsored, financially or otherwise by the Gupta family”. The organisations often refer to “white monopoly capital” or “radical economic transformation” when discussing the topic of transformation. Manyi tweeted on Sunday that he will be briefing his lawyers to also sue the Sunday Times, following its lead story this Sunday entitled 'White monopoly capital' chosen distraction in PR strategy to clear Guptas. The story claimed that PR firm Bell Pottinger “either helped set up or funded two organisations, the Decolonisation Foundation and Andile Mngxitama's Black First, Land First, that were critical of the Treasury and ‘white monopoly capital'." It said “Decolonisation Foundation head Mzwanele Manyi yesterday did not respond to questions, saying only that there was no direct link between himself, his foundation, Bell Pottinger or the Gupta family”. Black First, Land First said on a website linked to Mngxitama that “it will report the Sunday Times to the Press Ombudsman, take legal action against the Sunday Times and identify and occupy land owned by Johann Rupert”. - requesting Auditor General Kimi Makwetu to investigate the sponsorships received from Eskom and Transnet. Transport Minister Dipuo Peters said the department has not funded or procured services from the PPF, BBC and Decolonisation Foundation in a parliamentary response issued on Monday.